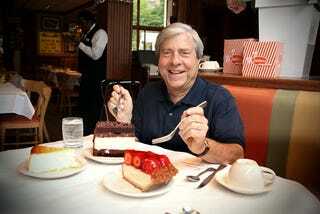 I didn't realize that Marty Markowitz is no longer the Brooklyn Borough president! I laughed out loud at his wiki as it states, "As borough presidents have little real power within city government, Markowitz has used the office to be an enthusiastic advocate for Brooklyn, promoting tourism and events borough-wide." That is putting it lightly. No one loves "Brooklyn, USA" and ribbon cutting ceremonies more than this dudee. Damn, now I want some Junior's.